The leaves are just starting to change color in Virginia and this is happening later than I’ve been used to. Typically by this time the leaves have mostly fallen so I’m really enjoying the change. 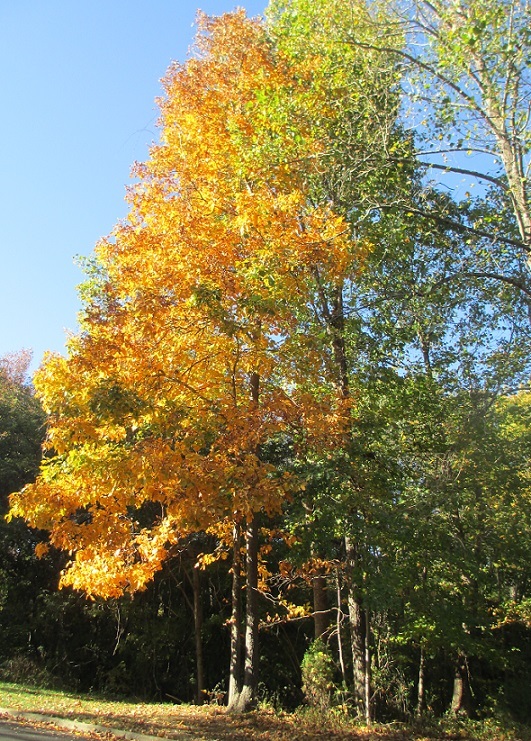 Over the past few weeks I’ve noticed that just one tree will have a few leaves that are yellow, orange or red. Everything else is still green. However it now looks like autumn colors have finally arrived! It is interesting to see the colors changing and I drove to an orchard in the mountains to pick apples and enjoy some fresh cider, as well as admire the season’s colors. More about autumn is here. This entry was posted in Charlottesville, Travel, USA and tagged autumn, leaves, outdoors, Virginia. Bookmark the permalink. How beautiful. Since we do not have Autumn here, I so enjoy seeing the changing of the leaves! You must miss autumn and watching the leaves change colors. It’s been really pretty this year! Beautiful autumn leaves collection, Meg! Love the last one especially. I love the colours! Trees in autumn are gorgeously eyepopping. I’ve been amazed by all the bright colors and every day it keeps getting prettier! I think that the colors are so lovely this year! Beautiful time of the year. It’s a favorite time for me, especially when it’s sunny and warm! Thank you so much – I was looking everywhere to see all the leaves, even on the ground! Autumn is my favorite time of year, and this year’s colors have been spectacular. Glad it’s just as beautiful in VA! I look forward to autumn every year and this one has been extra nice! Autumn is a bit late here in Italy too, but the colours are coming. 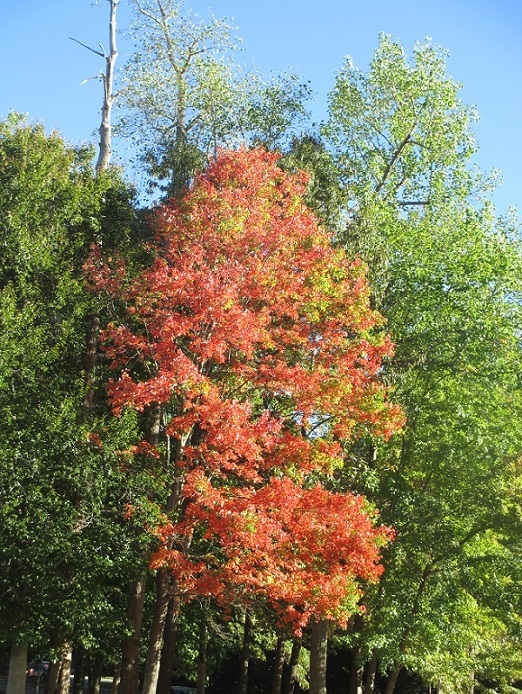 It’s a little unusual to have the colors change so late but it is well worth the wait! I love the quality of the light this time of year. As I set out for my morning walk today, the sidewalk was blanketed with golden leaves, and others floated lazily to the ground in the cool, light breeze. All the more precious knowing the snow can come at any time now. It’s been such a beautiful autumn – I’m amazed by the colors! Isn’t the first sip of the new season’s cider so wonderful? It’s a golden moment all of its own. I think I like the just *before* peak part of autumn the best, when there’s still a lot of green to contrast with the fall colors. But all your photos are beautiful! Thank you Cindi – I really think it’s interesting that there can still be so many green leaves along with all the pretty colors! Our leaves are almost all gone after a fierce storm so I enjoyed your lovely color. Autumn leaves just might be my favorite thing in the world. This very afternoon as I was coming home, driving through the leaf-strewn road, leaves taking flight behind my vehicle, I felt pure joy. Wonderful. So many beautiful photos of this nice season. Thank you – this autumn has been really lovely!